We love cookies here at LJB! And when I say love, I mean love, lust, drool, obsess and practically go crazy for a great cookie. Between Shannon and I we have discovered or created some of the best cookie recipes. (perhaps I am a bit biased, but what can I say?) 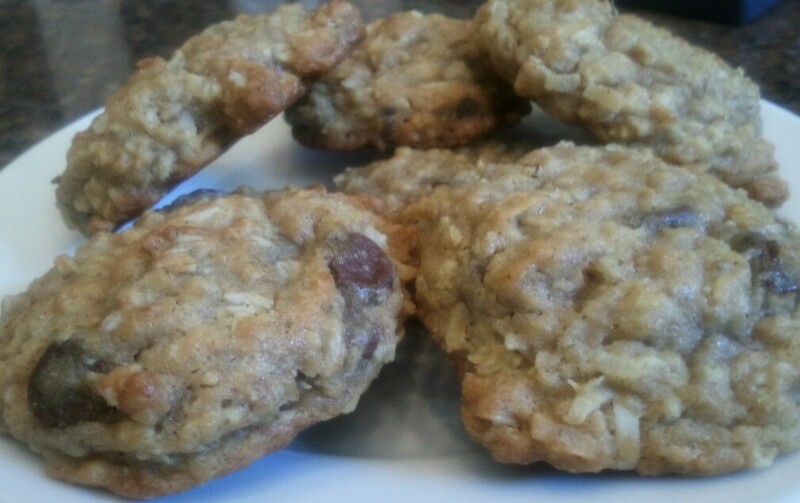 These oatmeal cookies are no exception. You see Karen is one of my moms very best friends. Karen is an amazing cook and bakeresse in her own right. I have fond memories of being in her kitchen when these bad boys were coming out of the oven. And let me say hot out of the oven is the best way to eat these. The hot, gooey, chocolatey, pure goodness cannot be matched. Cream together butter and both sugars. Add eggs and vanilla and mix until combined. Add flour, oatmeal, cinnamon baking soda, and salt. Then stir in chocolate chips, coconut and nuts.